Bob Campbell, PGA Teaching Professional, is another solid addition to the New England Golf and Tennis Camp family. His teaching expertise and concern for his students, unparalleled in the world of Junior Golf Camps, really shows through in all of his lessons and instruction. 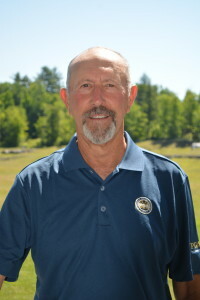 Bob, a PGA Professional for the past 25 years, is one of the most respected instructors in the western parts of the USA. He was honored as Rocky Mountain PGA Section “Teacher of the Year” in 2000 and coached the 2002 PGA Junior Champion, Tyler Aldridge. In addition to Bob’s talents as an instructor he is also one of the most accomplished players in the Boise, Idaho area. In the years 2001 and 2002 he advanced to the final stages of Senior Tour Qualifying. Similarly, he has been awarded the Rocky Mountain Section PGA Senior Player of the Year in 2001 and 2002. Prior to offering instruction at Shadow Valley Country Club in Boise, Idaho, Bob was the Head Golf Coach at Boise State University for 9 years. We are thrilled to have someone with Bob’s experience and expertise lead our golf program. Bob has an incredible ability to connect with young golfers and will surely have a positive impact on each golf camper that he works with at NEGTC. 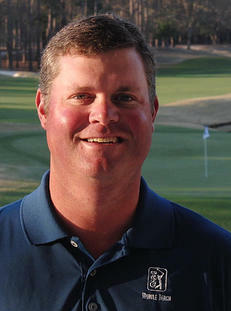 Allen Terrell is a world leader in junior golf, amateur and tour player development. He has over 17 years of player development experience. Coach Terrell has coached and developed over 300 college golfers in his career. He has coached All-Americans, PGA and European Tour winners. Each camper has the unique opportunity to be coached first hand by a PGA Tour Instructor and one of the few elite Titleist Performance Institute Certified Level 3 Golf Instructors in the United States. As well, Coach Terrell is the only TPI Certified Level 3 Golf Mechanic, Power, Golf Fitness, and Golf Coach on the entire east coast. 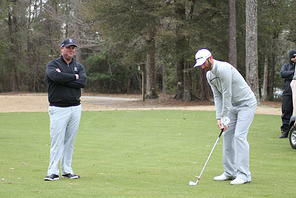 Additionally, he holds a TrackMan University Master certification along with being a Certified Putting Zone Instructor. New England Golf Camp is committed to providing all campers with a comprehensive game plan for long term development. While coaching on the PGA & European Tour for the past 7 years, Coach Terrell clearly understands there is no perfect model for every camper. He understands the importance of having proper function instead of just proper form. Through proper physical screening, individualized workout plans, cutting-edge training techniques and efficient practice programs, every camper will have a road map to a lifetime of continuous game improvement. Allen Terrell has long been recognized as one of America’s top golf coaches and New England Golf Camp is very proud to have Allen as our Director of Coaching. 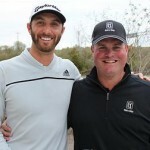 What sets Allen apart from other instructors is his tremendous experience working with all level of golfers and his unique ability to connect with the kids that he coaches. Allen builds confidence in young golfers in a way that is simply unmatched in the golfing world. Allen’s students walk away from each lesson with improvement in their game as well as a boost in their confidence that leaves them beaming. Kids love Allen Terrell and we love that he’s the leader or our golf program. With his expertise and love of the game, Allen is the perfect leader and head instructor for our overnight golf camp. 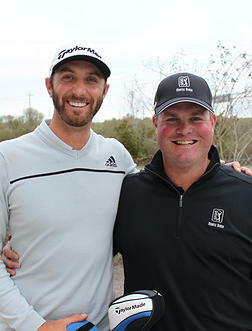 His coaching success is proven and campers will enjoy his affable personality while improving their golf skills. For those with aspirations of getting a college golf scholarship, Coach Terrell is well known and respected among college coaches and knows exactly how to prepare for NCAA collegiate golf. Future college golfers and their families have the unique experience of using his expertise to help guide them through the college search. During the non summer months, Allen is the Director of Coaching at the prestigious Dustin Johnson Golf School at TPC Myrtle Beach in South Carolina. Received honors from PGA of America for development of largest junior golf program in the U.S.